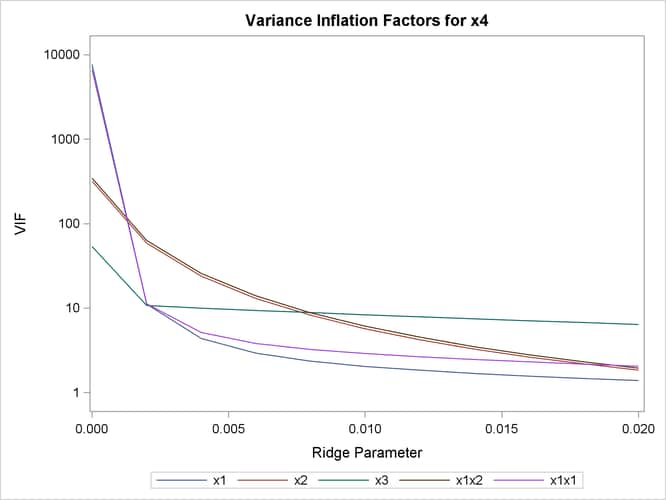 When ODS Graphics is enabled and you request ridge regression by using the RIDGE= option in the PROC REG statement, PROC REG produces a panel showing variance inflation factors (VIF) in the upper plot in the panel and ridge traces in the lower plot. This panel is shown in Output 83.5.1. The OUTVIF option outputs the variance inflation factors to the OUTEST= data set that is shown in Output 83.5.2. 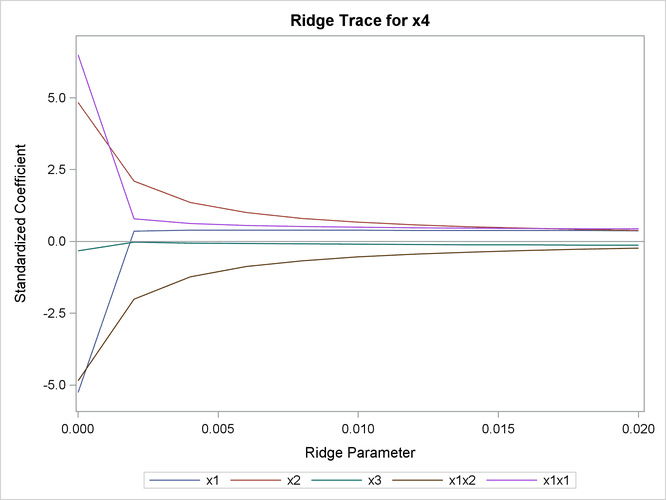 If you want to obtain separate plots containing the ridge traces and VIF traces, you can specify the UNPACK suboption in the PLOTS=RIDGE option. 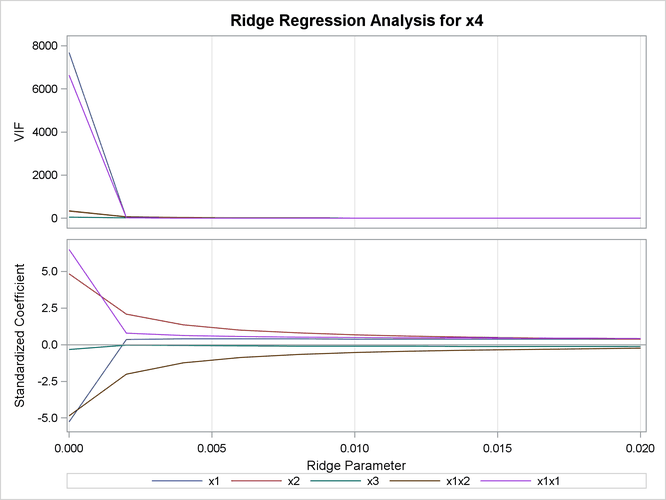 You can also request that one or both of the VIF axis and ridge parameter axis be displayed on a logarithmic scale. You can see in Output 83.5.1 that the VIF traces for several of the parameters are nearly indistinguishable when displayed on a linear scale. The following code illustrates how you obtain separate VIF and ridge traces with the VIF values displayed on a logarithmic scale. Note that you can obtain plots of VIF values even though you do not specify the OUTVIF option in the PROC REG statement. The requested plots are shown in Output 83.5.3 and Output 83.5.4.